When asked in how many different countries he has played during his nine years of professional basketball, veteran sharpshooter Tony Crocker of Khimki Moscow Region showed off his catch-and-shoot skills with a ready answer. "I’ve been to nine countries," Crocker fired. "I went to Hungary, Ukraine for a month. Finland after that, Cyprus, Greece, Israel, Turkey, China for a brief moment, and now Russia." The ability to correctly recount all the countries in the chronological order when asked is nice, but not as impressive as his basketball journey itself. His travels began in the summer of 2010 when Crocker, who turned 32 last month, arrived in Europe right after finishing his college career at the University of Oklahoma. Crocker did not have much of an idea of what to expect on this side of the Atlantic. "It was a big step for me because I had never been overseas before," Crocker recalled. "But it was a good experience. My first team in Hungary, Albacomp, we ended up going to the finals. It was a good experience for me, and I have been overseas ever since." "It's been a journey, it's been an experience and I've got to see a lot of great places. I've got to visit other countries just for playing in certain places. I love it. I wouldn't change anything." Now in his ninth professional season, to say Crocker has become very comfortable in adapting to new situations is an understatement. "It is a grind, but this is what I love to do. I love to play and win. Just try to be the best I can," Crocker said. "It's been a journey, it's been an experience and I've got to see a lot of great places. I've got to visit other countries just for playing in certain places. I love it. I wouldn't change anything." Over the years, from Szekesfehervar in Hungary, Kotka in Finland and Strovolos in Cyprus, to the Tel Aviv suburb of Holon in Israel and other big cities like Bursa in Turkey, Athens in Greece, and now Moscow, there have been many life highlights and fun moments, some great experiences and some first-ever encounters. Crocker has built many relationships with teammates and coaches which he is proud of. But what Tony cherishes by far the most has been his family, which has been with him along the way. "Going into my third season is when me and my wife Ashley met again," explained Crocker. "We actually dated in high school. It is like going a full circle." Move forward almost seven years later and the Crocker family of six, which includes their dog Sadie, is almost as well traveled as Tony. "We have all been traveling together," said Crocker. "We have a pretty good family, plus the dog, so it is a lot of stuff to travel around with... Even before we had our two youngest kids, the dog was just 6 months and she came to Israel with us. She also went to Turkey and now to Russia as well." The Crockers have fully embraced the globetrotting life with a daughter Skylar and son Baby Tony born in Turkey. At three and one years of age, respectively, the two little ones might be too young to understand the changes of going from one country to another, but that's why the oldest, Marcel, at age 13 is enjoying every bit of it. "He loves it. He’s been to Turkey for three years so he learned some of the language. He goes to the school, so he has friends, and I play basketball for the team so he automatically gets little extra friends and extra attention," Crocker said with joy. "The youngest, I don't know if they understand the difference, but as long as we are together, they love it as well. Does not matter where we are." 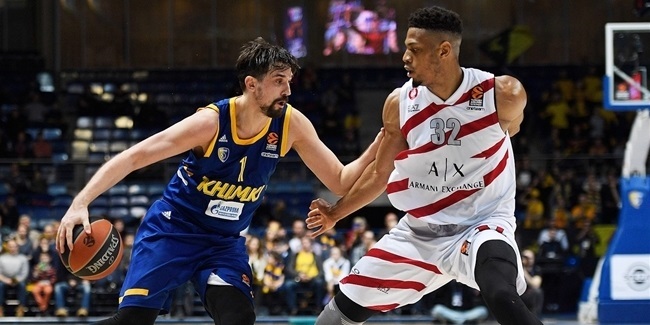 Before arriving at Khimki and Russia, Crocker's career took him to a different club and country almost every year. It wasn’t until 2016 – and his seventh professional season when he joined Tofas Bursa – that he remained in the same country, Turkey. Spending two seasons with Tofas was also Crocker's first. "It is a sense of security when you go somewhere, and you know where you are going next year," Crocker said about spending back-to-back seasons with the same team. "It makes everything easy, you skip the stressful part of 'where will we be next season?' 'What country?' You need to look for schools, need to see what the weather will be. 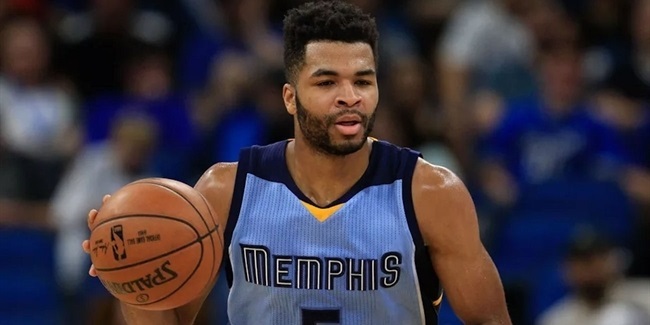 But if you go back to the same team, it makes everything easier for everyone." For similar reasons, the family made its home base in Texas, where they built a house two summers ago. Having finally a place to call home also made a big difference in the career and travel planning of this six-member family. "Now I am at EuroLeague, this is the highest in Europe, second best in the world. I put in a lot of hard work to be here, and I am happy about it." "We don’t have to pack everything and move every time to an apartment for three months. This past summer we had a good summer. We actually got time to go on vacation," Crocker added. Not to be lost in this story is Crocker's growth as a basketball player. He seemed to get better as his journey got longer. "Been going from small leagues and working up," Crocker said. "Trying to get to a higher level in leagues. Just trying to get higher and higher. Now I am at EuroLeague, this is the highest in Europe, second best in the world. I put in a lot of hard work to be here, and I am happy about it." 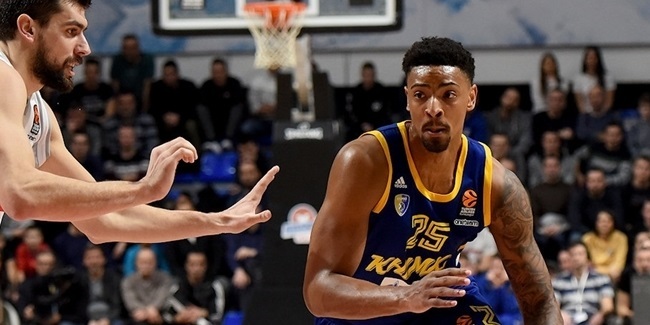 While he is currently helping Khimki make a EuroLeague playoff push on the court, off the court Crocker and his family are in the midst of a unique journey. From experiencing other cultures and seeing historical places, to learning about different ways of life thousands of kilometers away from home and even giving birth and bringing up their children there. And Crocker stressed that they love every bit of it. "It is memories, lasting memories you will never forget."